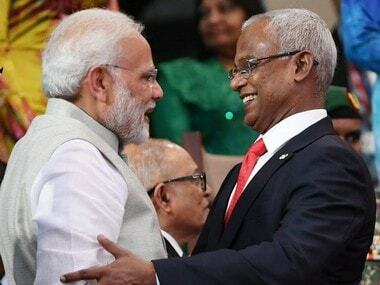 New Delhi: The Maldives wants India to withdraw military helicopters and personnel posted there following the expiry of an agreement in June, its envoy said, the latest snub to New Delhi by President Abdulla Yameen’s China-backed government. The Maldives’ ambassador in India, Ahmed Mohamed, told Reuters that two military helicopters provided by India were mainly used for medical evacuations but were no longer required as the islands had built up enough resources of its own. “They were very useful in the past but with the development of adequate infrastructure, facilities and resources we are now in a position to handle medical evacuations on our own,” he said. However, India and the Maldives are still conducting joint patrols in the islands’ exclusive economic zone every month, Mohamed said. The Maldives, 400 km (250 miles) to the southwest of India, is close to the world’s busiest shipping lanes, between China and West Asia. Along with the helicopters, India had stationed around 50 military personnel, including pilots and maintenance crew, and their visas had expired. But New Delhi has not yet withdrawn them from the island chain. “We are still there, our two helicopters and the men,” an Indian navy spokesman said on Wednesday, adding the foreign ministry was handling the situation. The foreign ministry did not respond to a Reuters’ request for comment. 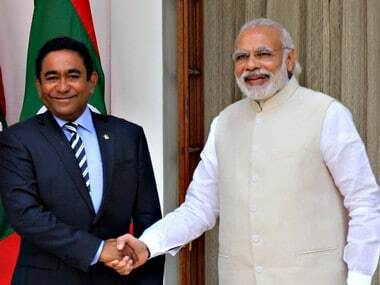 India was a close supporter of Gayoom during his long years of stewardship of the island chain and sent troops to foil an attempted coup against him in 1988. China, which opened an embassy in the Maldives in 2011, has rapidly built ties with the tropical island chain as part of its Belt and Road Initiative. 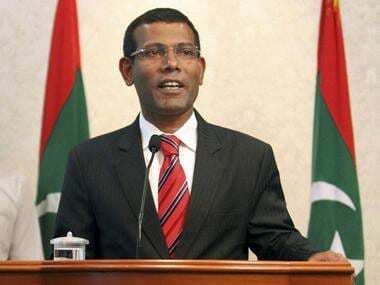 It says it is opposed to any country interfering in the internal affairs of the Maldives. Providing helicopters and patrol boats and satellite assistance to countries such as the Maldives, Mauritius and Seychelles has been part of India’s naval diplomacy to retain influence in the Indian Ocean. 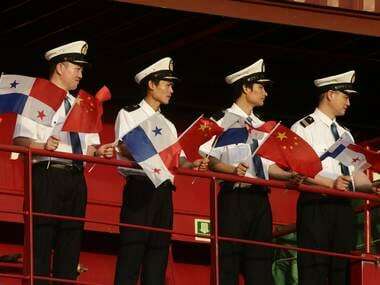 But in recent years China has moved in, building ports and roads backed by loans. In the Maldives, Beijing Urban Construction Group Company Limited took over a project to expand the airport servicing the capital Male, after the government cancelled a $511 million (£400 million) deal with India’s GMR Infrastructure. The Maldives has also given the Chinese a few islands to develop, officials said. Abhijit Singh, a former Indian naval officer who specialises on Indian Ocean politics at the New Delhi-based Observer Research Foundation, said the Indian helicopters were deployed near the islands where the Chinese were present. “Now the issue is Yameen wants the helicopters out, but more importantly he wants the personnel out. It is not the helicopters that trouble him so much, it is actually the fact that there are these people there. 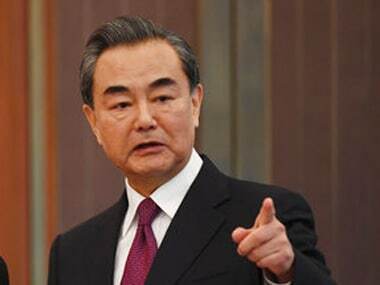 Yameen has invited China to do a lot of infrastructure building and he suspects that India is trying to keep a watch on what the Chinese are doing and so wants to keep the Indians out,” said Singh. Ambassador Ahmed declined to comment on that view.